We at HomeTrends know that planning a wedding is a lot of fun but can also be stressful. HomeTrends offers a unique & flexible service to suit individual Wedding & Engagement needs. HomeTrends offers a gift voucher of 10% to the bride & Groom of the total purchases by the guests when the list total exceed Euro1000 or a 5% gift voucher when the list total exceeds Euro500. OPTION A: The bride and groom can select various products for their wedding or engagement list. We will reserve these items and also design a beautiful display of the chosen products to make it easier for the guests to choose from. All items chosen will be reserved for the bride and groom. The remaining items (if any) not purchased by the guests must be then purchased by the bride and groom as we will be reserving them aqccordingly. 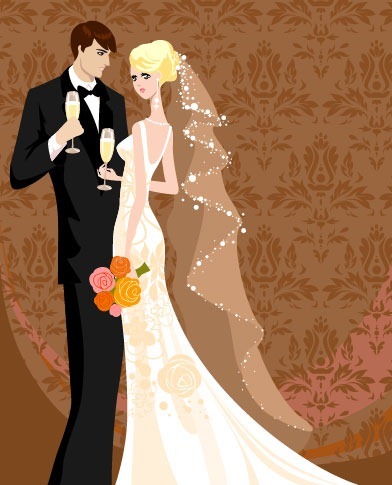 OPTION B: The bride and groom will choose a list of items to have as part of their list. We will design a beautiful display of the chosen products to make it easier for the guests to choose from. These items will not be reserved therefore this could lead to a possibility that some items from the list could be sold to other HomeTrends customers. However should the couple wish they could request for only some of the items to be reserved with a promise of purchase only if the Guest’s don’t purchase them from the list. OPTION C: The bride and groom don’t have to choose any particular items. In this case the guests will choose anything they prefer from our vast variety of products, then the couple may exchange any or all of the gifts received with any other item from HomeTrends or even with a voucher to be used at a later date. We at HomeTrends provide free delivery to the bride or grooms residence when requested by the guests. When the guests prefer to present the gift to the bride and groom themselves, we offer a gift wrapping service for pristine presentation and total customer satisfaction. Search for the gift list you are looking for in the list below, and you can view their entire list, purchase items or add them to your Wishlist.